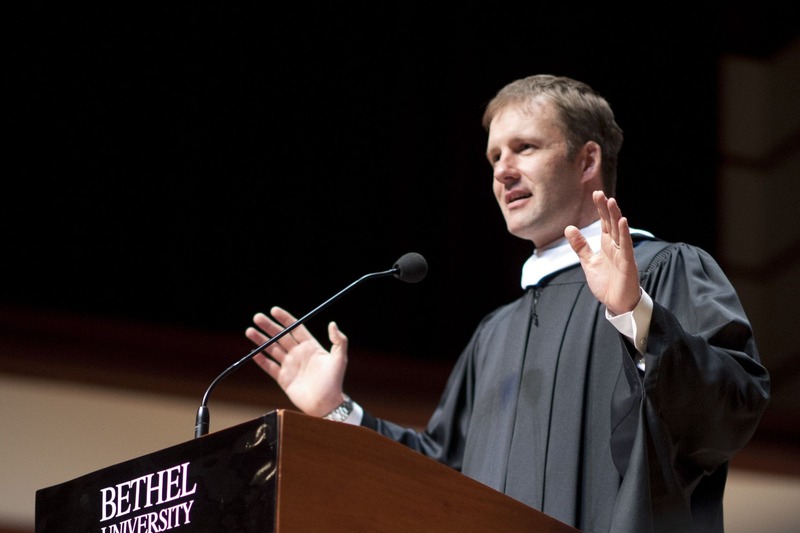 April 7, 2015 | 11 a.m.
David Horsager ’95, GS’05, was the 2013 commencement speaker for Bethel University’s College of Arts & Sciences. David Horsager '95, GS'05 has published a national bestseller and traveled the world as a business strategist and keynote speaker. He was Bethel’s 2013 College of Arts & Sciences commencement speaker, and in March he was back on campus to present a lunch seminar, which focused on trust-building principles, for business and church leaders. The event was part of a series of lunch seminars sponsored by Bethel Seminary’s Work with Purpose initiative, which is funded by the Kern Family Foundation and focuses on the intersection between faith and everyday work. 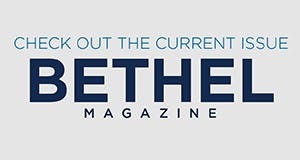 By offering resources and opportunities for strategic dialog among church leaders, Christian businesspeople, and Bethel faculty, students and staff, Work with Purpose seeks to spur exploration of the implications Christian faith can have on work. “Work with Purpose is focused on empowering pastors and churches to embrace a vision of whole-life stewardship—seeing that all of life, including our work, matters to God,” says Irving. “Horsager reinforced the importance of this vision when he engaged our community on the priority of trust as we live out our diverse vocational callings." David Horsager, MA, CSP, is a business strategist, speaker, and author of The Trust Edge: How Top Leaders Gain Faster Results, Deeper Relationships, and a Stronger Bottom Line. Get free resources and more at www.DavidHorsager.com or www.TheTrustEdge.com.